10,000 OCB Discovery Packs Sold! Until October 8, the LCBO is presenting a mini-OCB promotion with 13 Ontario craft beers featured in select stores across Ontario. A central part of the summer promotion was Ontario craft beer sampler packs, prominently featured throughout stores in centre aisle displays. These packs included the ever popular OCB Discovery PackTM, a mixed six-pack featuring one beer from each of Beau's All Natural Brewing Company, Great Lakes Brewery, Trafalgar Brewery, Lake of Bays Brewing Company, Mill Street Brewery, and Wellington Brewery. 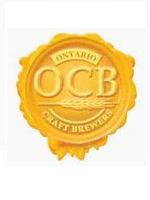 Throughout the summer, including the beer promotion, LCBO customers purchased more than 10,000 units or almost $110,000 worth of the OCB Discovery PackTM. OCB, in collaboration with tthe LCBO, designed the six-packs to introduce consumers to the range of Ontario craft beers available in Ontario. Mixed sampler packs were also available during the promotion from OCB members Cameron's Brewing Company, Mill Street Brewery and Wellington Brewery. "The OCB Discovery Pack initiative continues to be a success story at the LCBO," says McMullen. "This was our ninth edition of the sampler pack which enables consumers to try different craft beers and choose their favourites."